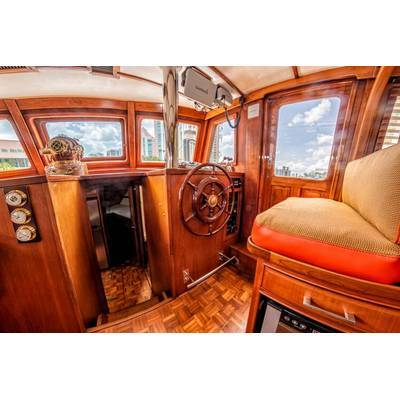 Vision, the relentless pursuit of perfection and a large bankroll transformed this 43-foot trawler into a beautiful yacht with an extensive range of amenities. 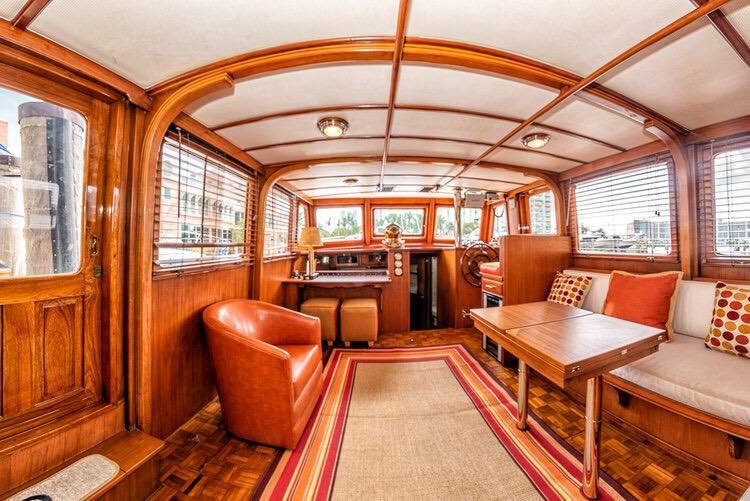 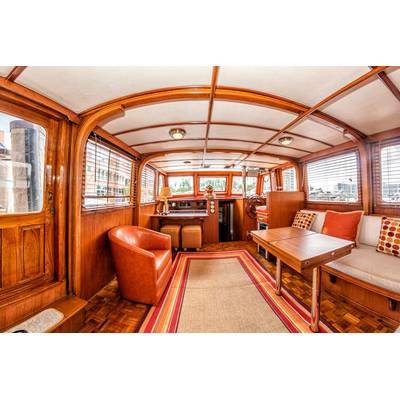 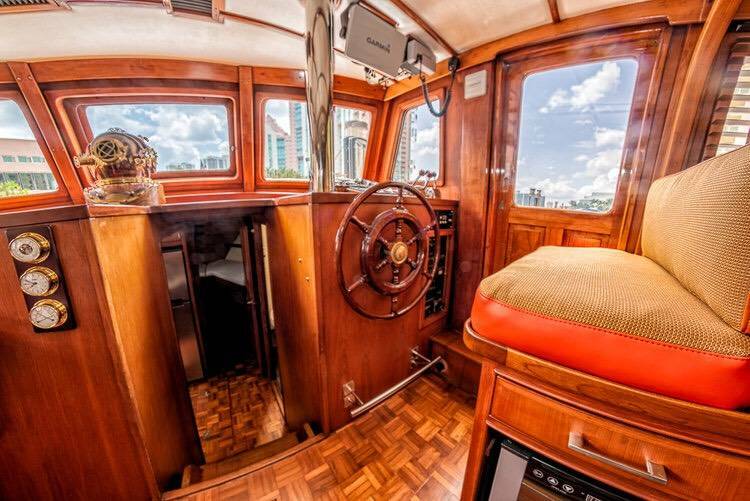 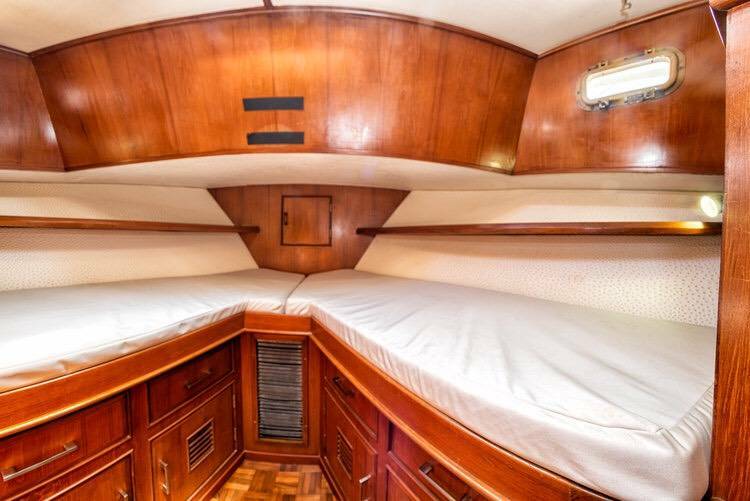 Manufactured by Marine Trader in 1984, M/Y The Giuliana is a collector Sundeck Trawler restored with exquisite brightwork, impeccable woodworking and joinery detail with decorator nautical flare. 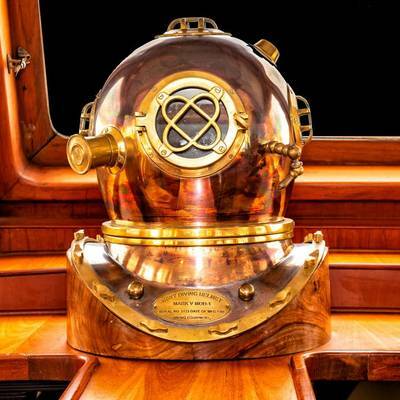 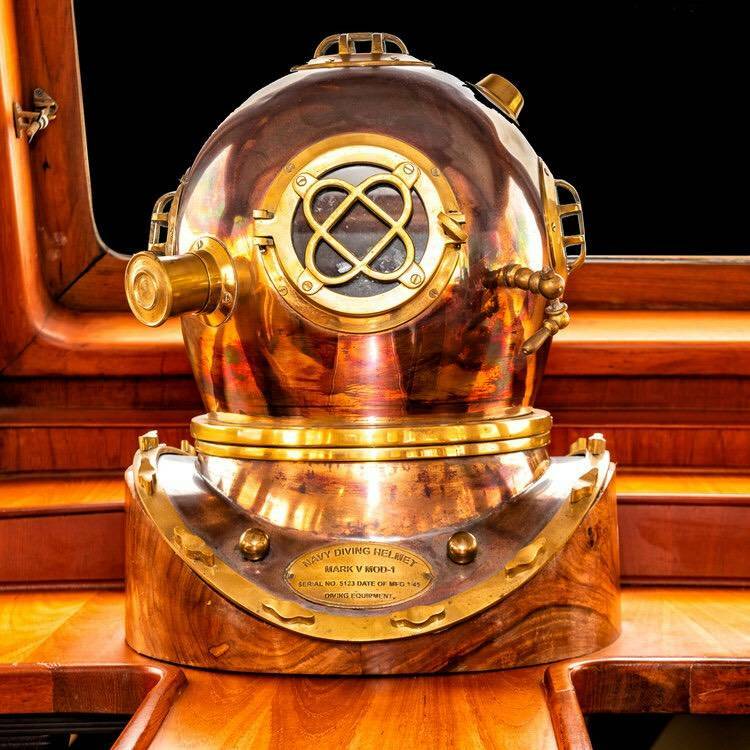 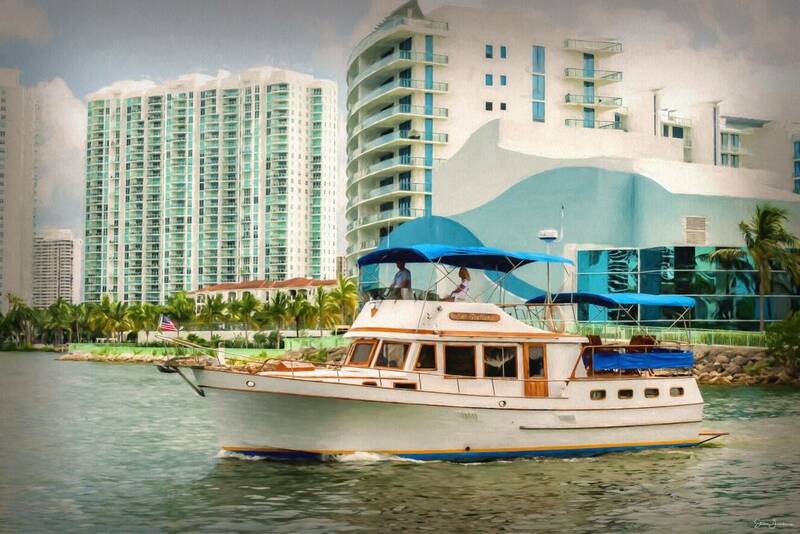 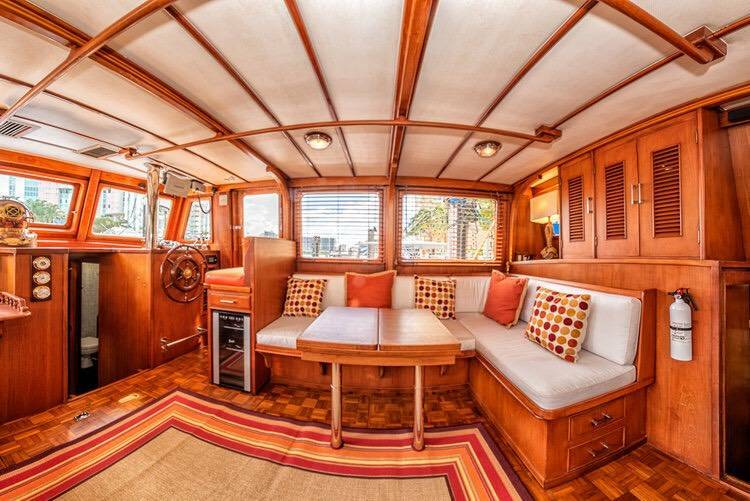 With a complete retrofit in 2015, the owner stripped her down from stem to stern, restoring with a megayacht-quality interior and amenities of a new, high-end designer home. 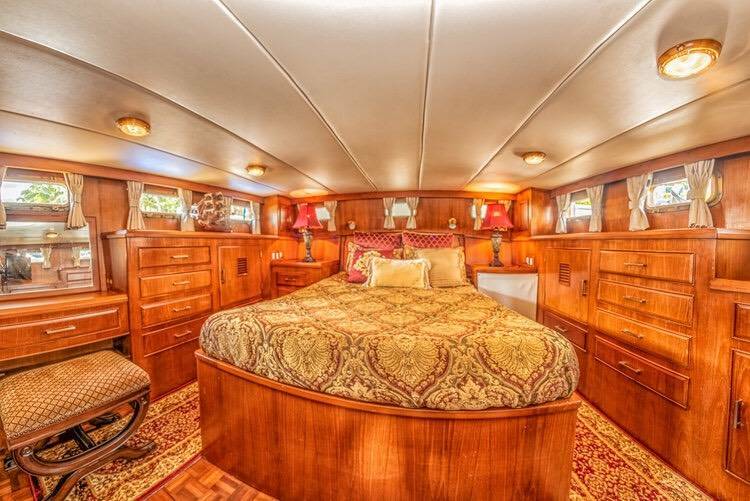 Extensive brightwork, teak parquet floors and bookmatched teak bulkheads create a teak lover’s dream. 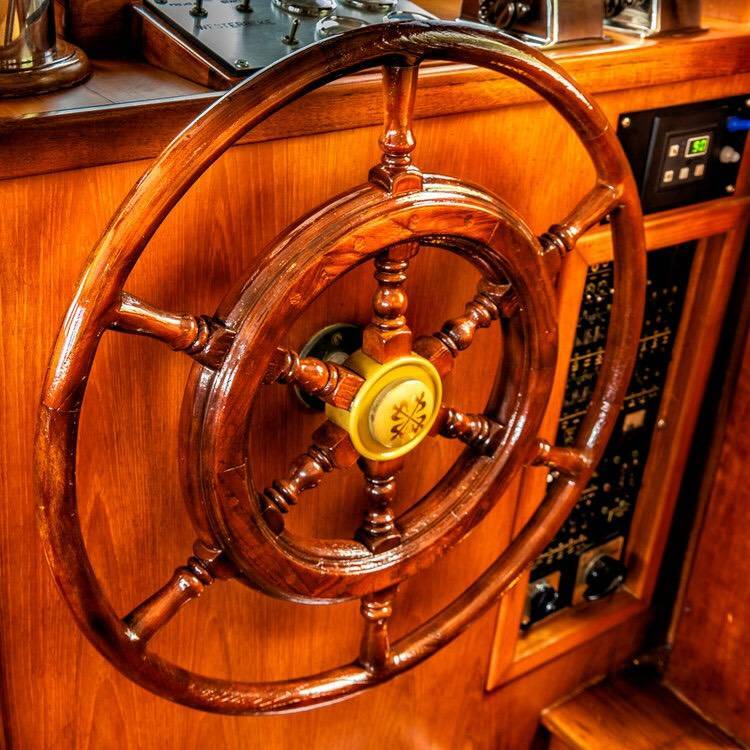 Evoking style down to the waterline with a yellow and blue bootstripe, M/Y The Giuliana’s stylish portholes cut a striking exterior profile with a traditional, anachronistic aesthetic. 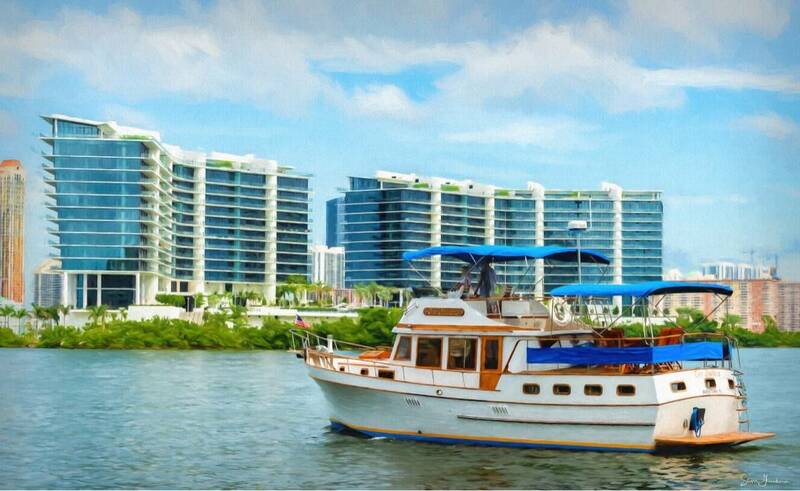 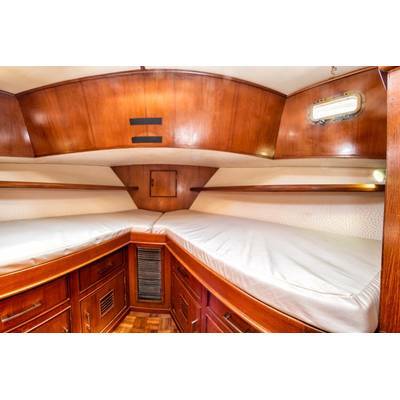 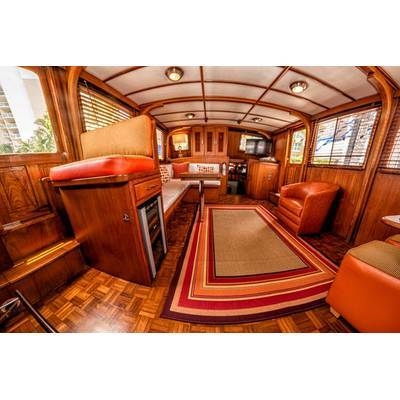 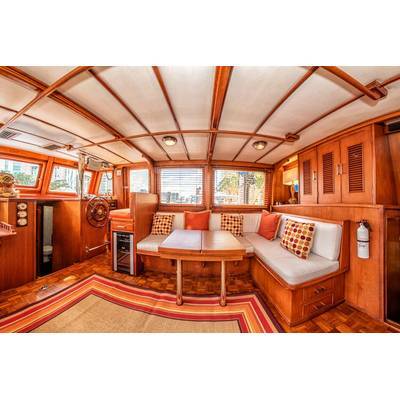 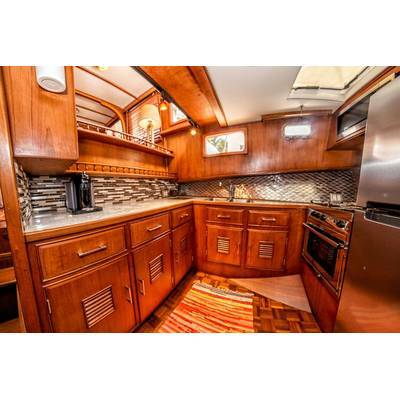 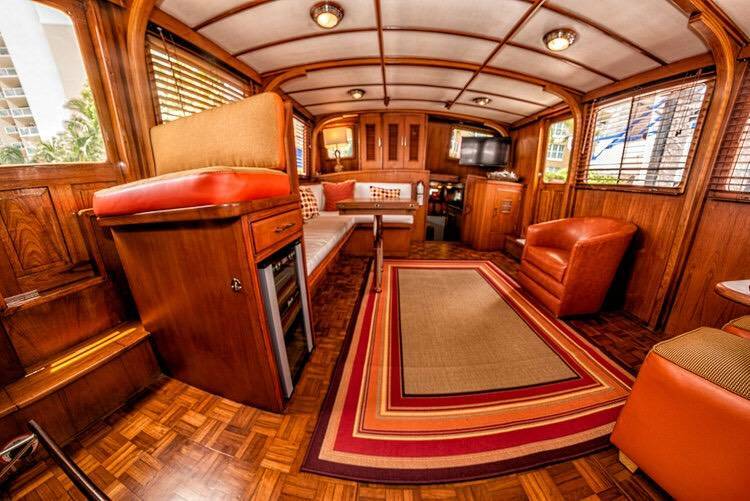 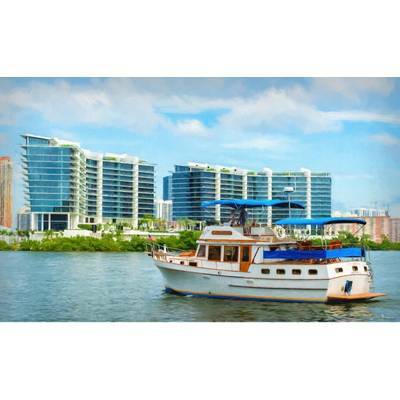 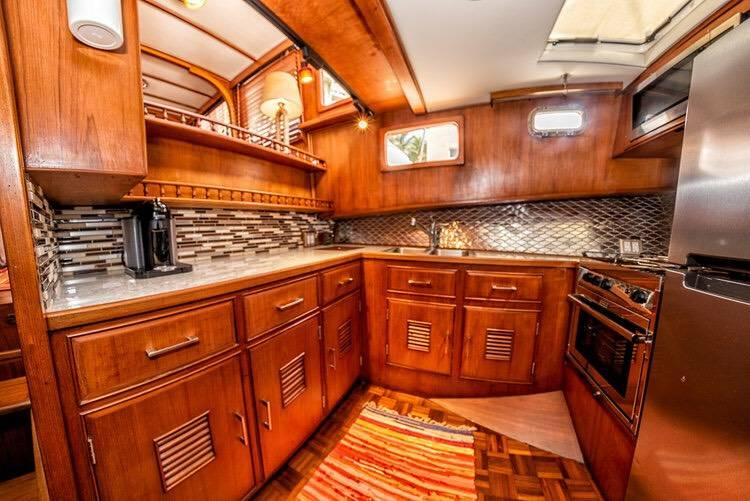 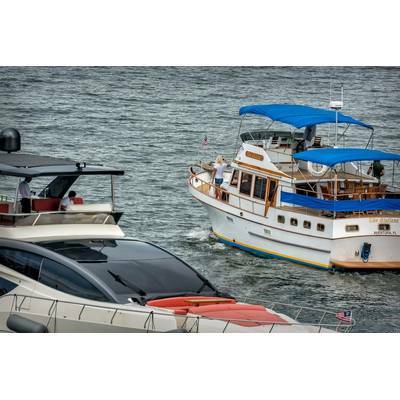 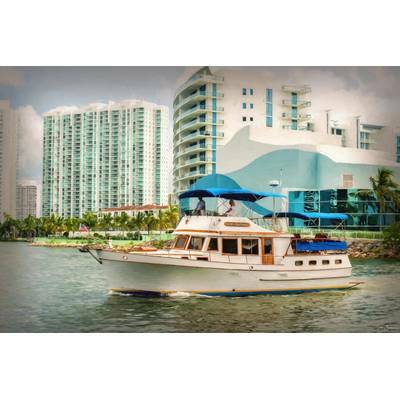 Her stylish appointments include a teak interior, white leather headliner and fully-equipped galley forward to port, with a stainless steel backsplash, appliances and wine cooler. 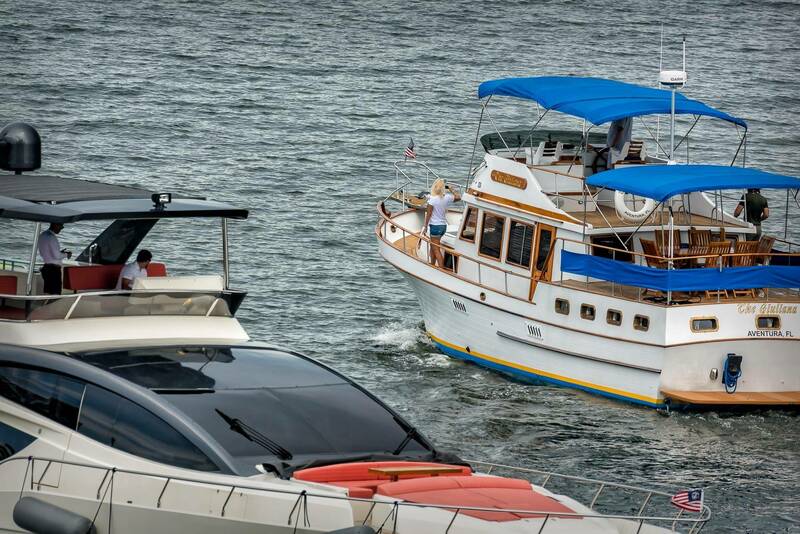 The huge aft deck entertains six, with a sun deck forward and a flybridge with generous seating. 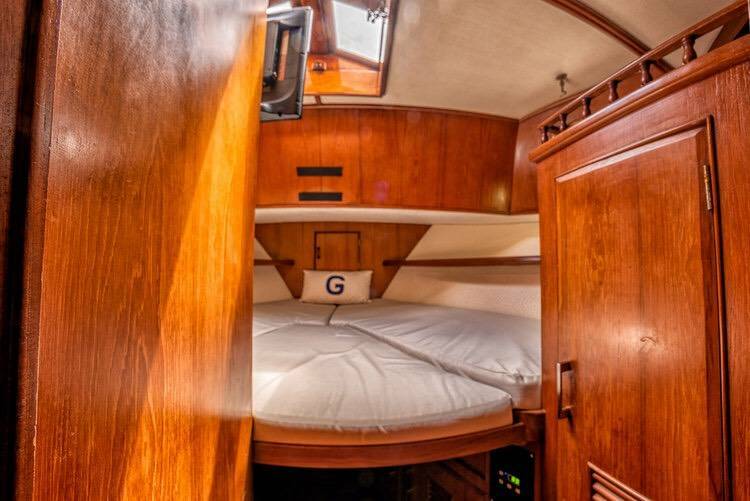 M/Y The Giuliana offers spacious living areas, a roomy salon and two staterooms. 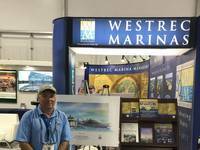 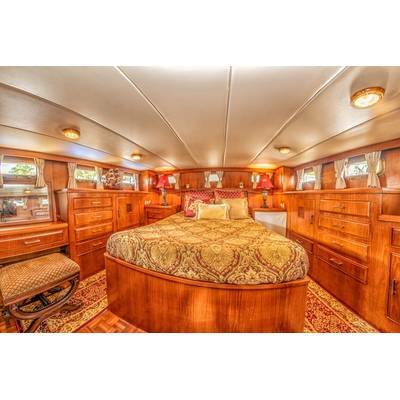 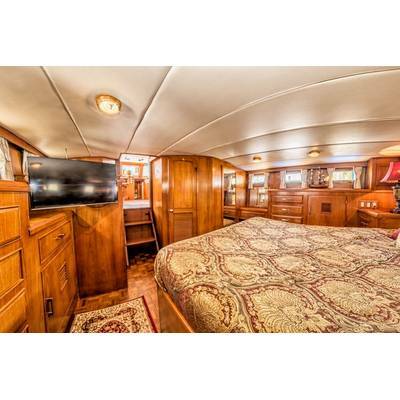 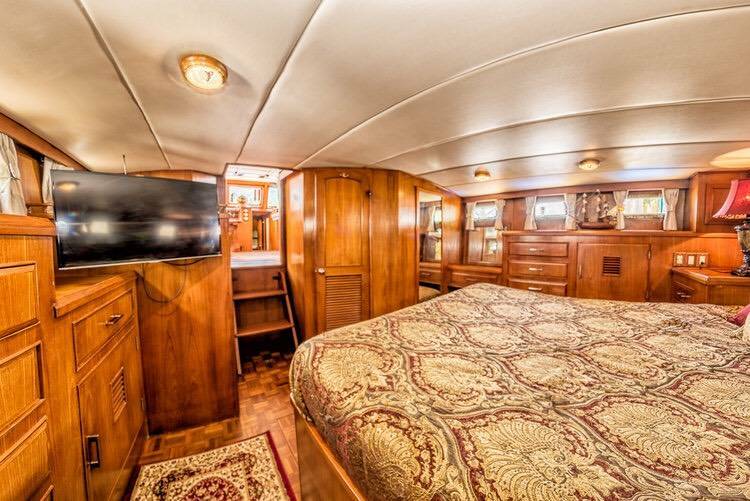 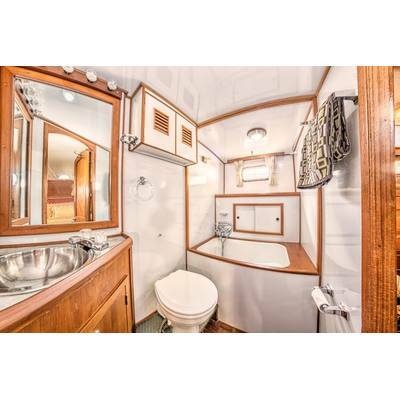 A full-beam master stateroom is aft with an ensuite head, shower and tub, and a full vanity, with teak closets and dressers for lots of convenient storage and a washer-dryer. 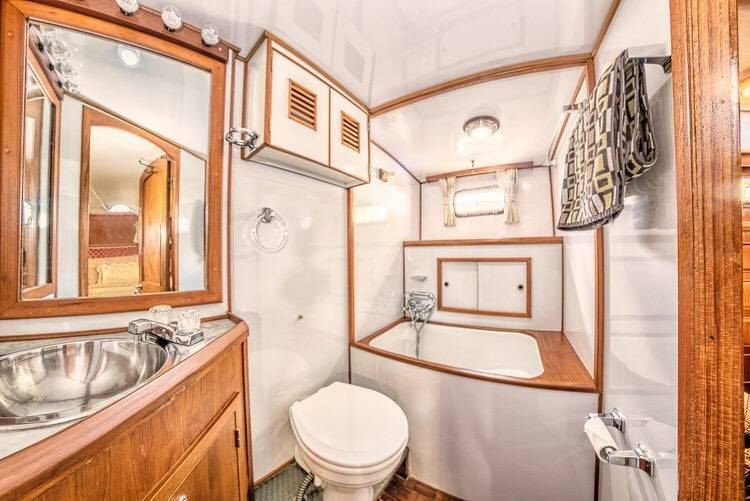 A convertible v-berth forward sleeps two comfortably with a second head and shower forward. 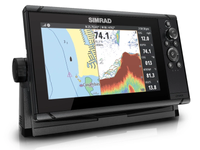 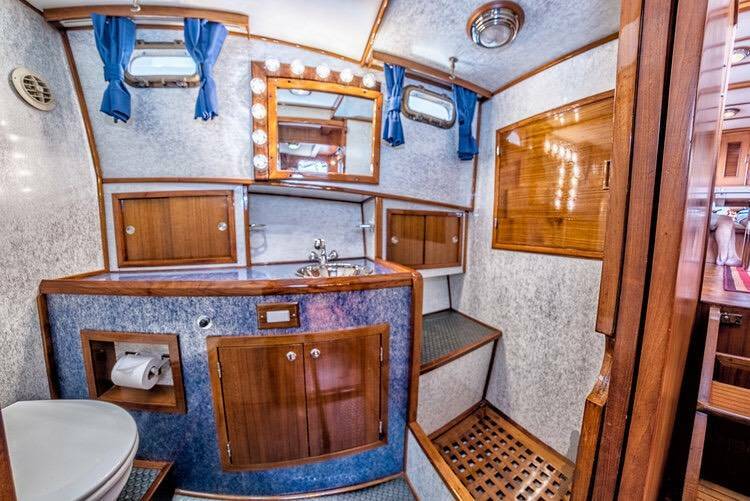 New pumps, batteries and lines modernize nearly every original feature, with almost everything updated or replaced from the bimini to the paint, with all air vents sealed to prevent leakage and evolutionary updates for electronics, including LED lights. 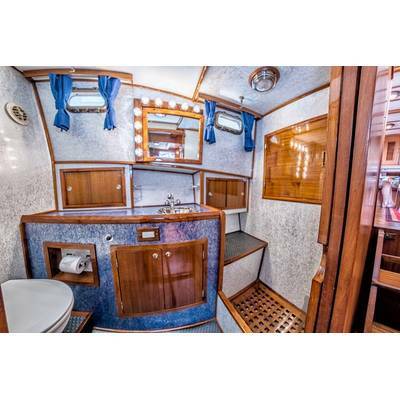 Completely stripped and refit with new systems, piping, machinery and interior, with ceiling reinforced, raised and replaced, the interior upgrades include three TVs with generous storage capacity for stowage during extended cruising periods, ideal for liveaboards. 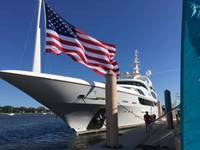 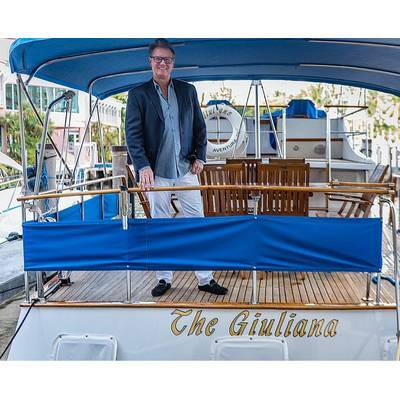 Sporting over 50 windows with custom, Sunbrella snap-on coverings for style and sun protection, M/Y The Giuliana’s softwoods include wood blinds and state-of- the-art entertainment, communication and navigation equipment. 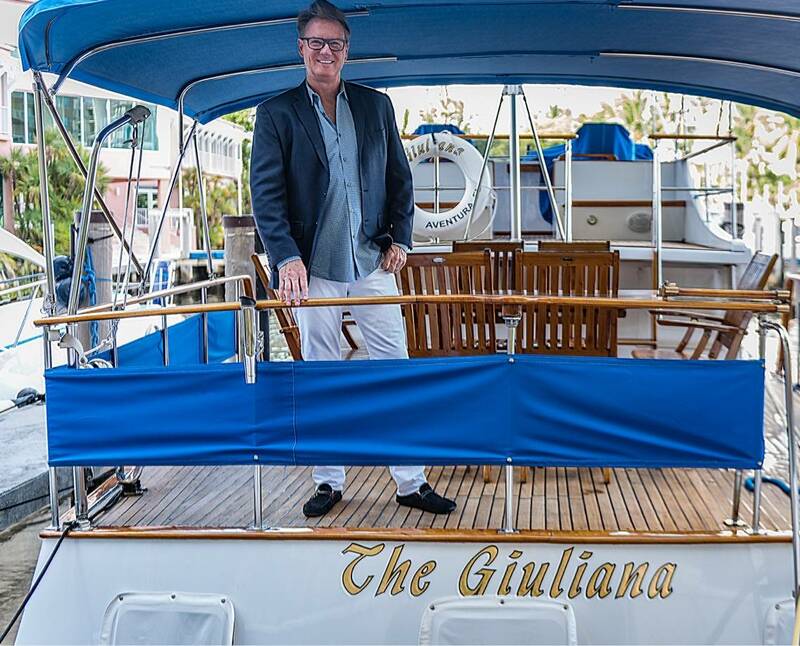 With a full-displacement hull, M/Y The Giuliana is outfitted with twin 120-HP Ford Legman engines and cruises at seven knots for a smooth and relaxing ride. 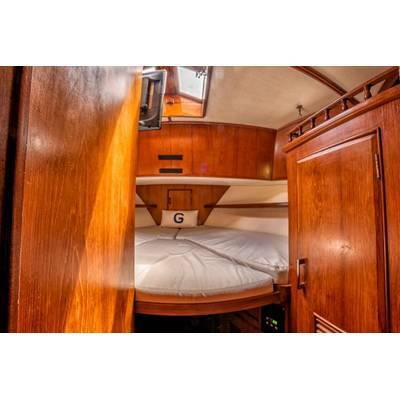 Her high load-carrying capacity translates to abundant interior room and an ideal arrangement with lower and upper helm stations.